Our Coffee Sweaters have been an extremely popular item out on the west coast of British Columbia. They have proven to be a favourite item when someone is looking for a small gift or a treat for themselves. Each Coffee Sweater is hand knit of Canadian produced and milled wool. Each piece is unique as they are handmade. Currently Coffee Sweaters are available at Talisman Books and Gallery ( Pender Island, BC), and at Nest ( Cowichan Bay, Vancouver Island, BC). And of course you can always buy direct from us too ( plus we also do custom orders!). Coffee and handmade make a great combination! 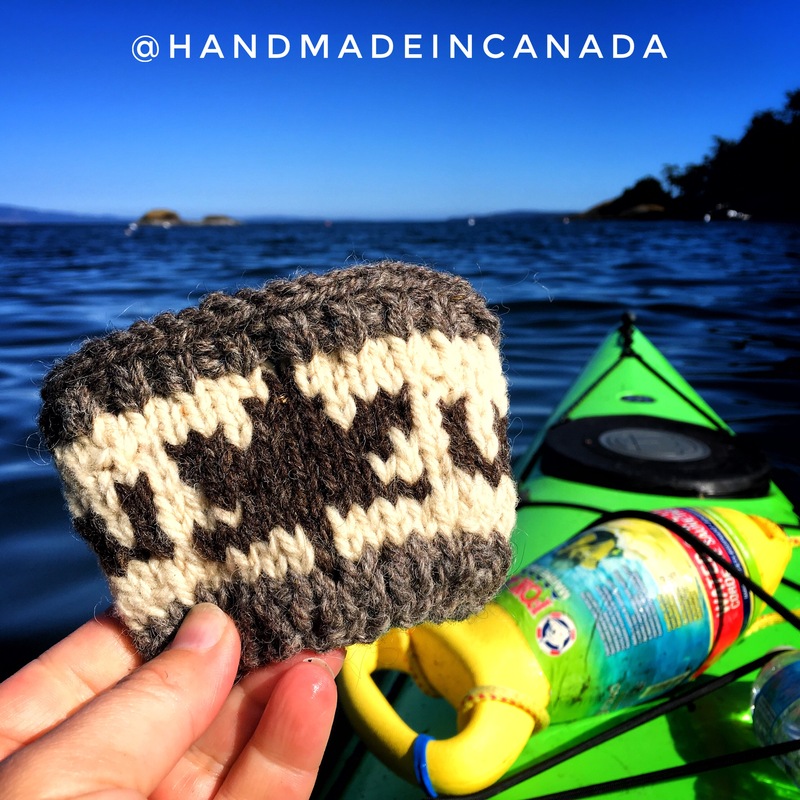 Also check us out on Instagram at @handmadeincanada for posts sharing all the new items being made.